Cook pasta as directed on package, omitting salt and oil; drain. Rinse with cold water to cool; drain well. 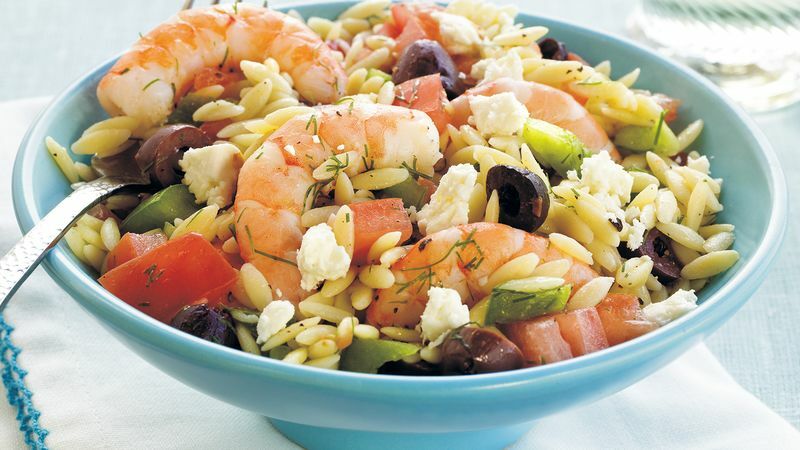 In large bowl, toss pasta, shrimp, tomatoes, bell pepper and olives. In small bowl, stir lemon juice, dill, oil, salt, pepper and garlic with whisk. Pour over salad; toss gently to coat. Sprinkle with cheese. Refrigerate leftover salad in small plastic containers with tight-fitting lids up to 2 days. Then you’ll have lunch packed and ready to go.